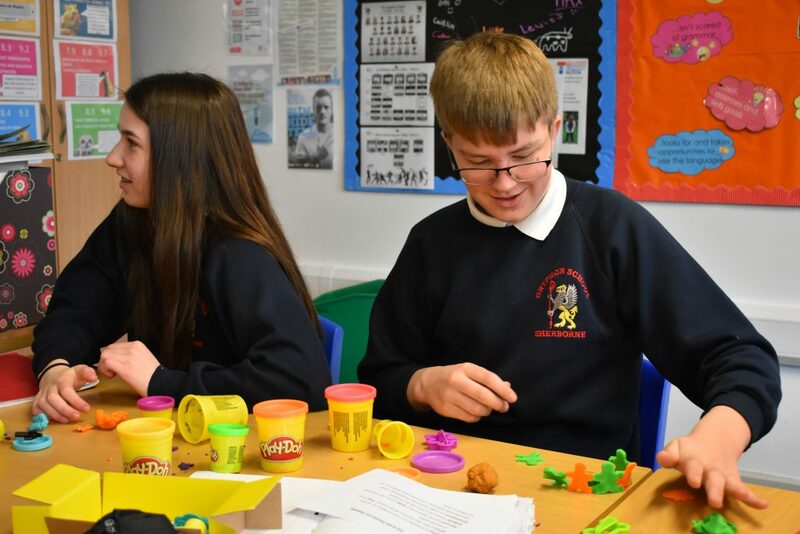 From Year 7’s, some of whom have only just started out on the language learning journey, to Year 13’s who are perfecting their film and literature essay writing skills, the range of topics and opportunities to discover new cultures has been huge in MFL this week. 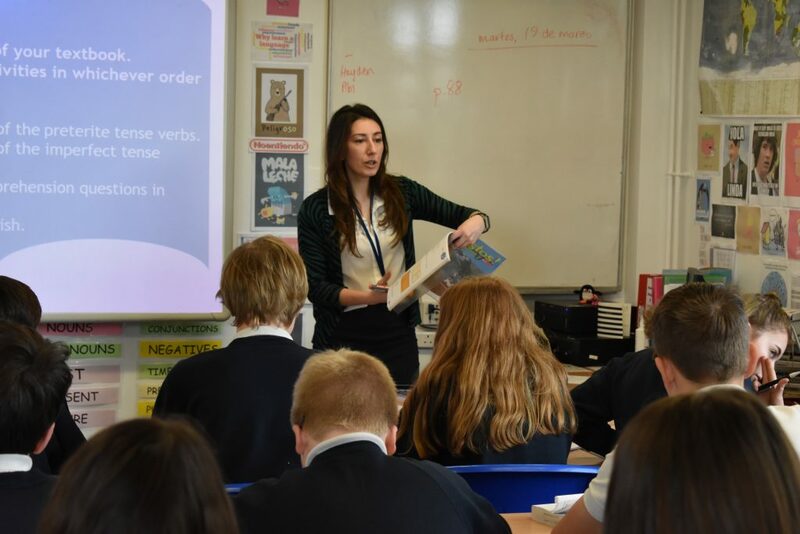 Our KS3 schemes of work offer students the chance to develop their knowledge of grammar and the vocabulary of French, Spanish and German as well as an opportunity to appreciate and fully understand other cultures. We always try to link the learning to current themes and trends in the target language countries and help our students to see where learning a language could take them! In Year 7 this week our students have been discussing the differences between schools in Britain, France and Spain, as well as learning to describe them, give their opinions and talk about their daily routine. 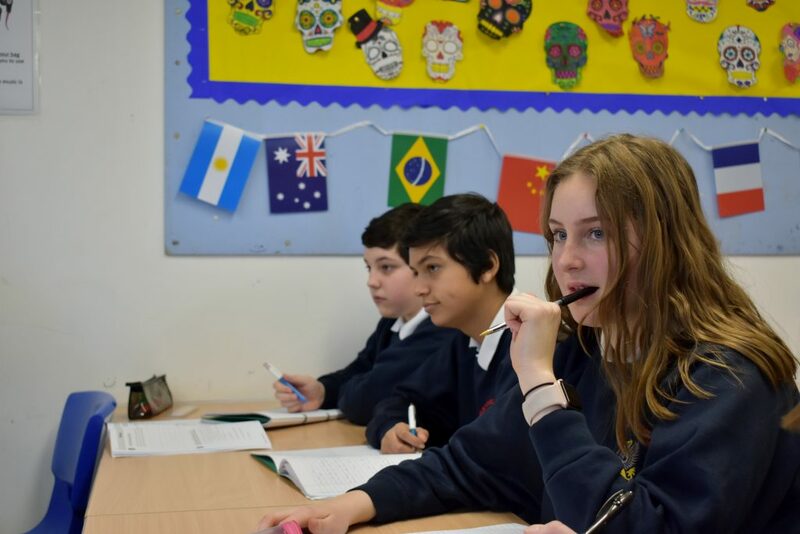 Our Year 8 students have been learning about French cuisine and carnivals, describing where they live and their local area in German, and discussing their use of and the advantages and disadvantages of social media and the internet. 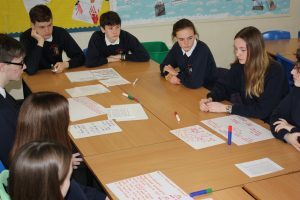 Year 9 students have already started to look at the skills needed to ensure success at GCSE and are busy consolidating their use and knowledge of tenses while exploring Spanish festivals, French charities and describing voluntary work and its importance, and discussing days out and making plans with friends in German. At GCSE the focus has been preparing for the upcoming exams. Year 10 have been finishing off their topics of holidays and school and starting to look towards their fast approaching PPEs where they will get their first taste of the exam experience. Year 11’s have been working hard on their PPE feedback and revising hard for their speaking exams just after Easter – it has been fantastic to hear so much French, Spanish and German being spoken! In KS5 the range of topics is fascinating. In Spanish we are discussing very current issues such as gender equality and studying Pedro Almódovar’s ‘Volver’ which will form part of their final exam. 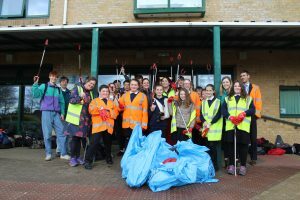 In French they have been looking at the role of charity work in society and the role French cinema plays in society. In addition to this our Year 12 students have entered the Oxford University Flash Fiction competition which involves them writing short stories in French or Spanish – the quality of these has been truly outstanding. Year 13 students are again preparing thoroughly for their next round of PPEs as well as finalising their Independent Research Projects covering topics from the drug trade in Columbia to the changing role of the Catholic church. Outside of lessons we have had huge amounts of speaking practice going on for our KS4 students and they are relishing the opportunity to improve their fluency. 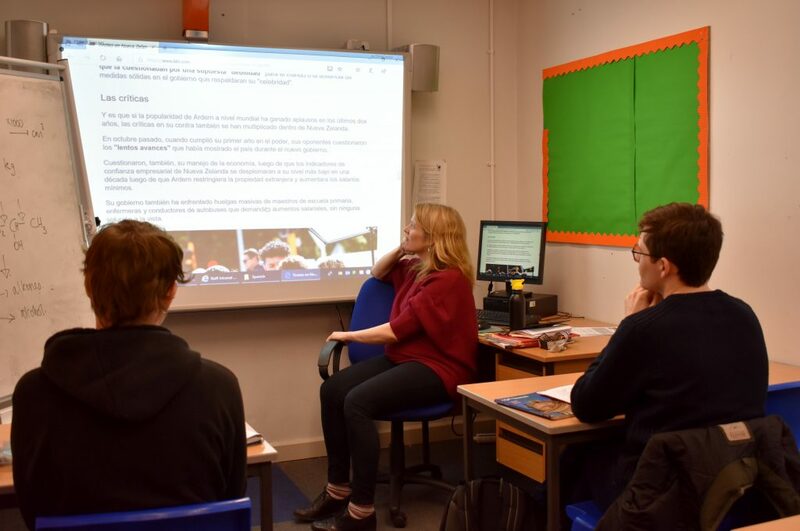 Miss Couturier has also been running a hugely successful Foreign Film Club celebrating the works of foreign directors as well as films based in France, Germany and Spanish speaking countries.